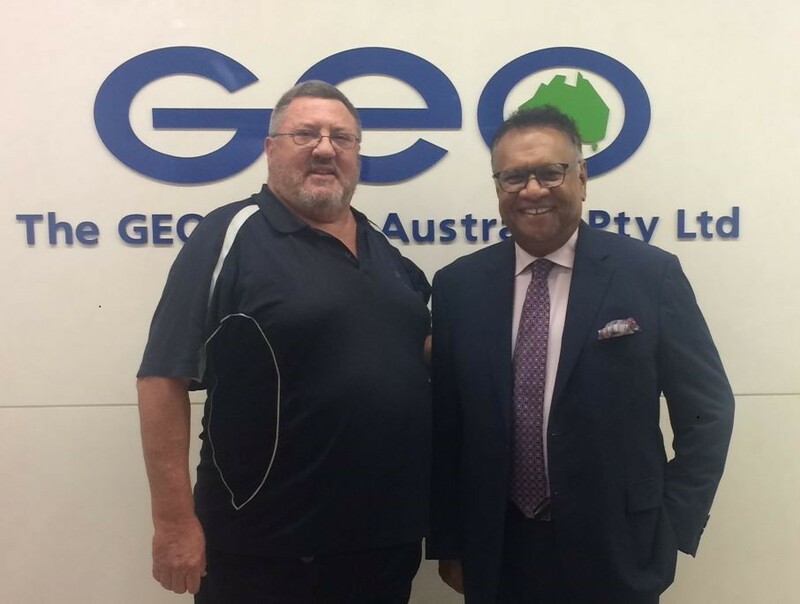 Keith Ketheeswaran, Director Governance and Performance Assurance for The GEO Group Australia Pty Ltd, is retiring this week. Keith is respected as a doyen in Australia’s quality industry and has been a long serving director for Australia’s largest and most respected private operator of prisons, GEO. I met Keith in the mid 1990’s when he was Managing Director of QAS (now SAI Global) and even back then he led the charge for organisations to embrace risk management in their decision making. Late last year, an independent arbitration determined that any extended distribution agreement with SAI Global will be non-exclusive. Accordingly, Standards Australia is moving beyond the exclusive distribution arrangements that have been in place with SAI Global since 2003. Standards Australia is committed to implementing the new arrangements later this year. In the meantime, Australia Standards will continue to be distributed through SAI Global and Standards Australia will be providing details on its consultation over the coming months. At last, we should see a resolution to an inept political decision made 15 years ago that has allowed an unfair advantage in the certification industry. Congratulations to Ms Ayumi Akashi of TQCSI (OCO Japan) – Ayumi-san is a loyal and dedicated Office Administrator who has ensured 100% compliance of the Office with TQCSI procedures. She liaises with auditors and clients in a most professional manner. Ayumi-san is completely reliable and facilitates translation of audit reports in a timely manner. Congratulations to Robert Thompson of TQCSI (Australia) for being selected as TQCSI's 2018 Auditor of the Year. Rob is an experienced QMS/EMS/OHS Senior Lead Auditor who has worked for TQCSI for many years. He has a thorough understanding of the Standards and is consistently complimented by clients for his auditing and adds value to their certification. His audit reports are detailed and meet all requirements. Rob is thoroughly reliable and is a wonderful mentor to new auditors, despite his photo! Congratulations to An Phat plastic and green environment joint stock company - Factory 6 for being awarded TQCSI's International Client of the Year for 2018. An Phat is one of Vietnam’s leading manufacturers of PE plastic bags with an excellent commitment to high quality packaging, environmental sustainability, safety of food packaging and continual improvement. Congratulations to TQCSI (China) for being selected as TQCSI's 2018 Regional Office of the Year. TQCSI (China) has continued to excel since winning the same award in 2016. TQCSI (China) achieved 2,000 certificates in September 2018 and continues to grow while maintaining consistently high standards. Despite the language difficulties, a change in key staff and significant workload, TQCSI (China) has maintained a positive and professional attitude and has always worked collaboratively with Head Office to improve performance. TQCSI (China) is excellently led by General Manager, Liu Chang Yi, who is well respected in the certification industry. TQCSI has opened a regional office in Iraq. 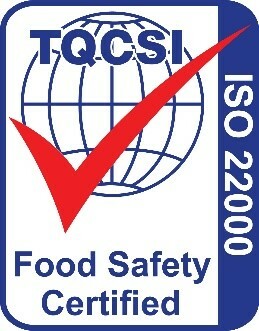 TQCSI (Iraq) is the first certification body to be based in the country and demonstrates TQCSI's commitment to the promotion of trade in the Middle East by certifying businesses to international standards for quality, environmental, safety, asset management and information security management systems. Based in Baghdad with local employees, TQCSI (Iraq) will be overseen by TQCSI (Egypt) for the initial phase of operations. The banking and government sectors will be the initial clientele while industries involved in building the economy will be targeted. We trust TQCSI (Iraq) can grow into a successful office while Iraq continues to embrace peace and harmony. 30+ years ago food safety became a world-wide issue for a myriad of reasons, particularly the growing export trade in food. 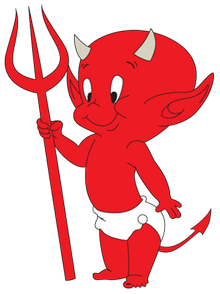 That led to the adoption of HACCP (Hazard Analysis of Critical Control Points) based on guidelines published by Codex Alimentarius. HACCP is a risk assessment of potential food safety issues, determining critical control points (CCPs) based on a relatively simplistic decision tree, and dealing with them. This became problematic for companies wishing to achieve certification to meet customer or export requirements because there was no actual Standard. The result was auditors and certification bodies (CBs) auditing based, largely, on their opinion rather than documented requirements. That’s why TQCSI developed the TQCSI HACCP Code, which is one of only a handful of codes in the world to have been registered by an accreditation body (JAS-ANZ in the case of the TQCSI HACCP Code). Our Code is transparent to our clients and auditors alike, documenting the actual requirements for certification. TQCSI-Yaran in partnership with Indigenous Defence and Infrastructure Consortium (iDiC) , welcomes Boeing Defence Australia Ltd (BDA) as our latest client. BDA is transferring their ISO 9001, ISO 14001 & AS 4801/OHSAS 18001 certification to TQCSI-Yaran. BDA joins a number of high profile suppliers to Defence in Australia who are among TQCSI-Yaran's clients, including ASC, Babcock, BAE & Naval Group.